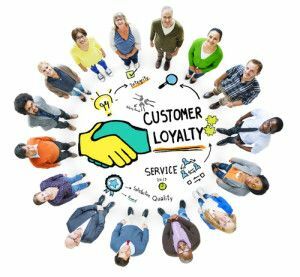 Your current base of loyal repeat customers will provide a significant portion of your company’s income, but they could also be an important source of new customers. An effective customer referral program will allow you to expand your business with new customers while also improving relationships with existing clients. Here are five ways to make a customer referral program work for everyone involved. Time the request properly: You shouldn’t ask for referrals immediately. Instead, wait until you have established a relationship with a customer and have proven you’re a company that deserves consideration. Customers are putting their own reputations with friends and colleagues on the line when they make referrals, so they want to be certain you’ll do what you say before recommending you to others. Ask for the referral within a week or two so that they will better remember their good experiences with you. Provide benefit to both: The person who made the referral and the referred customer should both obtain some benefit from the referral process. Referrals are more likely when a current customer has the option of making a referral to a trusted business and, at the same time, receiving something valuable in return. Offer genuine value: The benefits for referrer and referee should be significant and of genuine value. They can include discounts, gift cards, two-for-one offers or other deals that feel like a worthwhile reward. The benefits you offer will more than pay for themselves with goodwill and customer loyalty over time. Track referral results: Establish a procedure for tracking the results of your referral program. Ask your new customers who referred them. When you get a new customer who was referred by an existing client, that should trigger the reward process for both. Use an electronic database or customer relationship management system to make this process easier. Say thanks: A sincerely meant “thank you” card or phone call to both the referring customer and the referred customer will be appreciated and will help strengthen your business relationships. What else could you do to create an effective customer referral program that benefits everyone in the transaction?